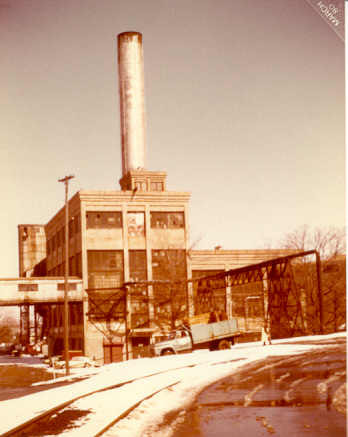 1980 was not the "glory days" of Allied Paper but Bryant Mill was still a busy place. 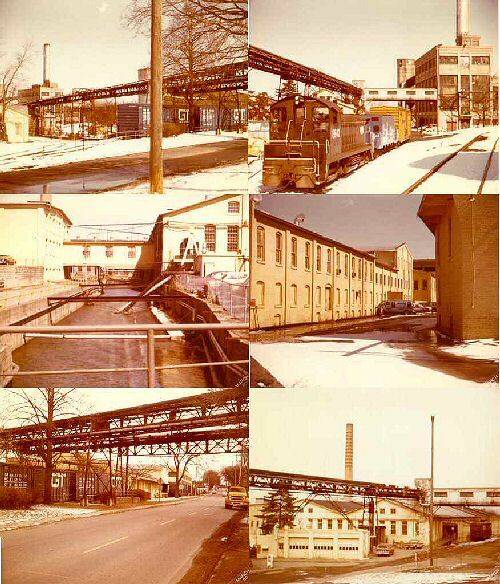 The photos below were all taken there so I could show my parents in England where I was working. Looking from Alcott St. to the North, the power plant is in the left rear. 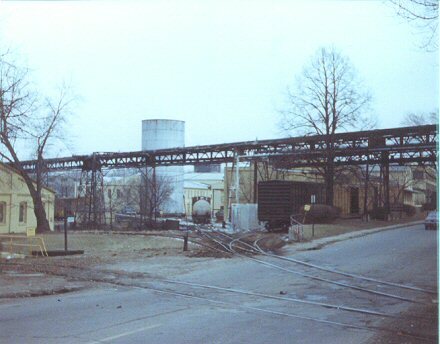 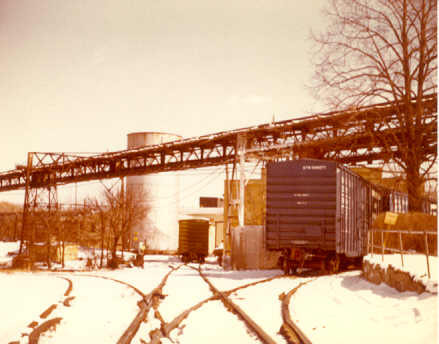 Conrail switching the mill, pushed boxcars along to Mill D, power plant on the right. 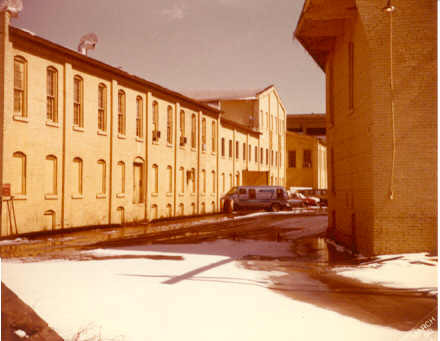 This building houses the research labs. 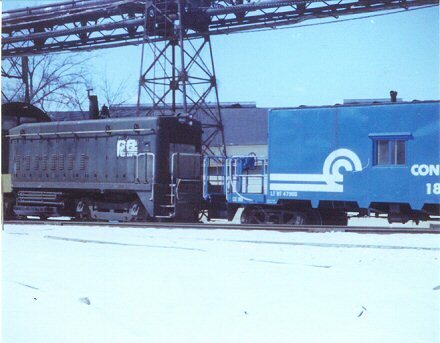 We were trying to come out with better, cheaper coatings. 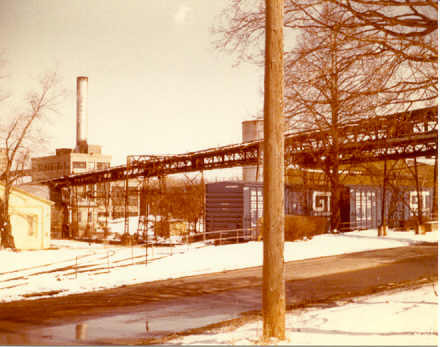 Looking eastwards along Alcott St with Mill C on the left. 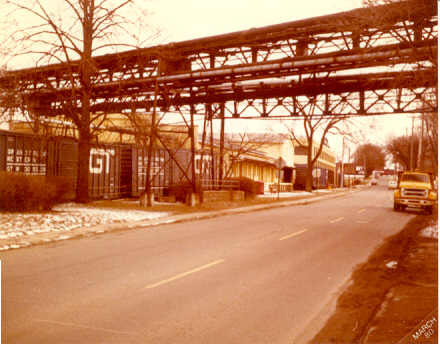 Seems like there was a Dunkin Donuts at the end of Alcott St in this time period, where the drive-thru grocery store is today. Bloomberg Markets magazine article "Tainted Waters"
for Mill D and Mill C (North dock), right for Mill C (South). railroad. 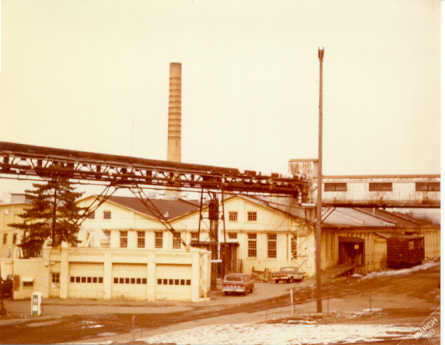 They were demolished prior to 1980. 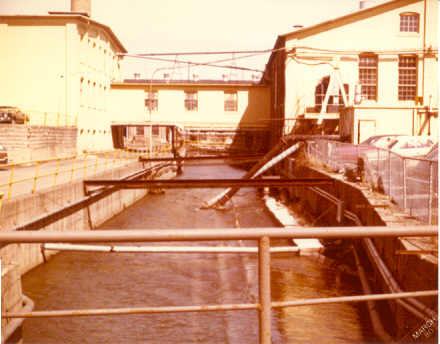 Canada and clay slurry heading for Mill D.
of this photo of the power house, click here. 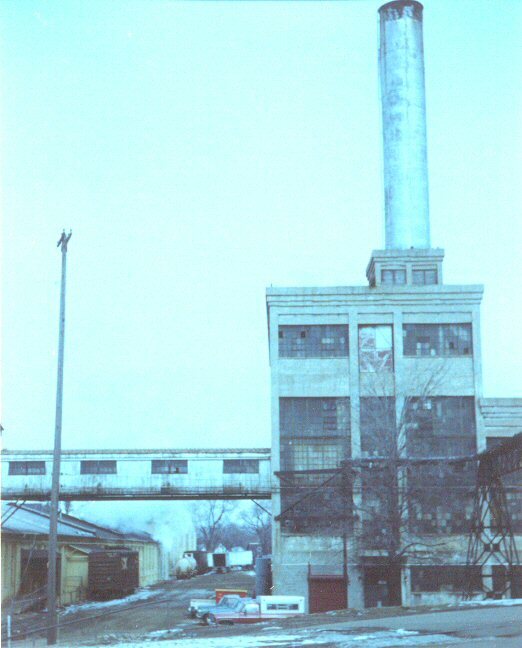 view of this photo, click here. 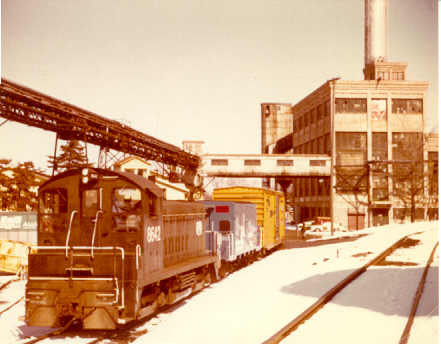 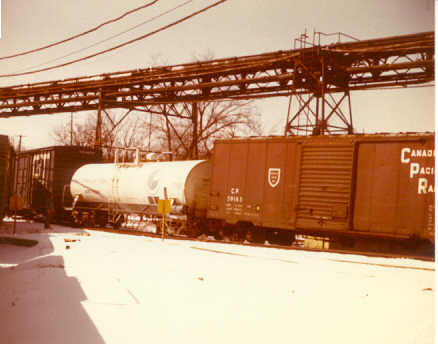 Conrail switcher and caboose at Allied Paper. 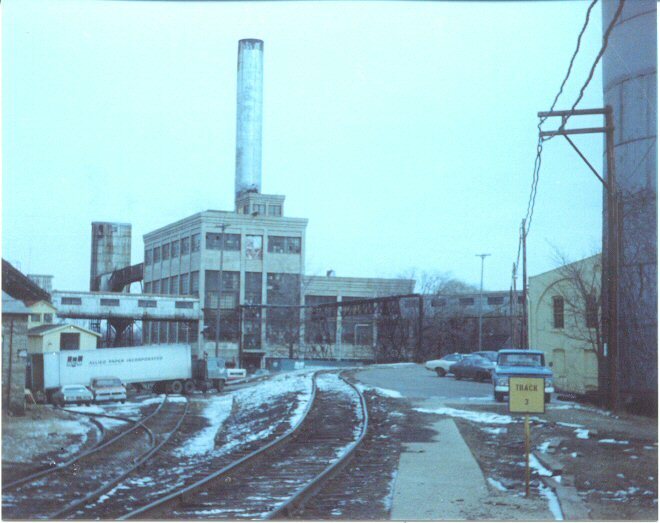 Note - Prior to the Allied Paper purchase of the Bryant Paper Company in 1956, Mills A and B were known as the Superior Division, Mill C was the Bryant Division, Mill D was the Milham Division and Mill E was the Imperial Division.